(Science fiction; horror) Earth has attracted malevolent alien powers beyond human understanding. This is an account of a real nightmare, with extreme violence. Kicking his way free from the glass of the downed helicopter�s cockpit, John could not recognise his precise location at first, although he knew it was sufficiently close to home. He had landed in an empty field once grazed by sheep, and his mundane semi-detached house lay in a village at the side of a notably steep hill nearby. There, he had hoped to find his daughter and save her from the mysterious sores of the deadly skies. Recognising the shape of the hill, John let it guide him down a wet footpath to his village. The whole scene there was abandoned, without even the tweet of a bird in the trees, and filled with the many signs of a mad rush for survival that had gripped the whole country. No cars were present, although John surmised scores of people might still be concealed in their homes, praying for the clouds to spare their lowly village. Indeed, the poor village was only a small cluster of houses among vast hills and glens in the middle of nowhere, but this was not enough to save it from the murderous attention of a distant red cloud, approaching from the sea. John ran down a deserted highway, the only road linking the village to civilisation. Then he found the junction and his house, combing it furiously for the little ten year old girl whose life he was responsible for. When she saw him, his daughter Sarah reacted with terror and fled like a disturbed rabbit, only stopping when he was close enough to drag her towards him. John glimpsed the approaching vapour of the red cloud beyond the curtains, and knew the encounter could not be avoided now. It would begin to exert its terrifying power of hallucination on both their minds if they were too slow to flee, but Sarah resisted capture until his attention was diverted by a passing of strange forms beyond the panes of the door. His daughter might have already been delusional, shrieking as she tried to fight free from what she thought to be a monster. Finally, she bit his hand and ran, resolving to cower in a dark corner concealed under a small table. Sarah would not look at anything, and covered her eyes with both hands as her cheeks streamed and sored with her tears. Now, the light coming through all the windows was shrouded and reddened, and the movement of something vast seemed to be taking place outside the house. John, like his daughter, tried to hide himself pathetically amongst the clutter in the adjacent corner, but he quivered as a hulking shadow cast through the frilled curtain of the living room window. When he turned to face the source of the shadow, he saw the yellow of a vast eagle�s eye, gigantic, gazing directly through the pane and into the house. It was wide enough to encompass the entire window. At first, John thought it was growing voluminously every second, until he realised that his own limbs were simply disobeying him and dragging him towards it. The eye burned like the sun as he came closer, and his shivers began to be replaced by a truly seductive feeling of warmth and bliss under its radiation as he came closer. Even as John seemed sure to approach the perilous eye, Sarah suddenly rose from her own hiding place and scurried out of the room, offering a brief movement that diverted the eye�s gaze. John, freed from the hypnotic power of the golden ball beyond the pane, collapsed in terror and pressed his face against the floor to mimic death. For a few moments, he thought a big ravenous dog was drooling over his shoulder and preparing to dig fangs into his neck, until he opened his eyes to find that the rouge curtain of the clouds had moved on and little Sarah was there, jabbing his shoulder to wake him. John was surprised and intensely relieved that she had survived despite the eye�s glare turning towards her in his psychotic moments. Without any hope of evacuation, both of them rested speechlessly in the room, on constant guard against everything around them until nightfall. When darkness had arrived, John instructed Sarah to remain at the house, assuring her that she must stay hidden there and not be tempted to expose herself to anything strange. 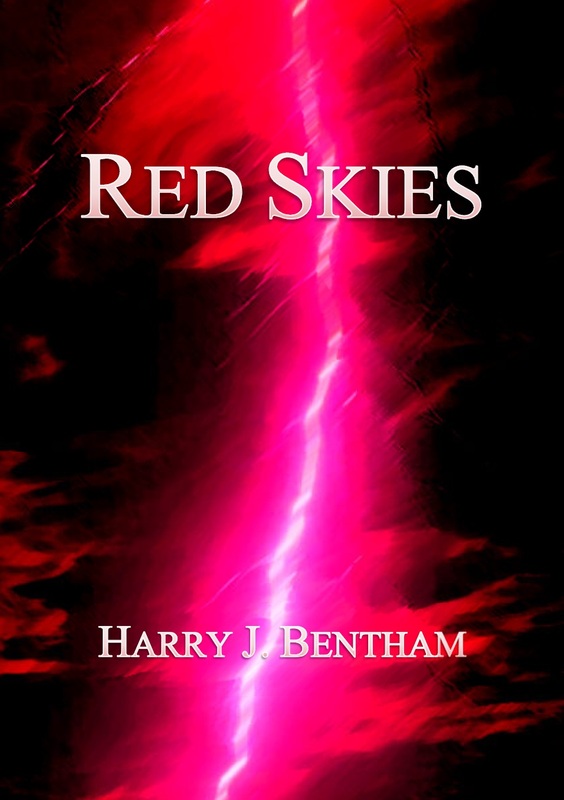 He had to stay away from her, or the red clouds would drive him to kill even his own little daughter with their powers of deception. Her survival was everything to him, so he chose to risk himself and take his chances in the open.